Every day I see stories about people objecting to a prisoner being released. Just this morning I saw where that actor who attacked his girlfriend was being paroled after serving 8 years. They were bashing the system, all up in arms over the release. How much punishment do they think is enough? In the story they discussed all the treatment and programs he’d taken while incarcerated. Plus it’s not like they just opened the door and let him go free! He’ll be on parole. Yet the woman and her advocate attorney were bashing the system. I understand the woman’s position. She experienced a serious assault. But she can’t seriously believe that he should never be released. 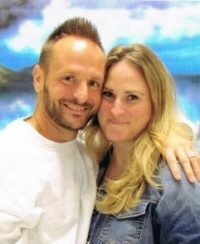 Trust me after 25 years of incarceration I know there’s individuals who should never be released! But, that being said, the number is very low. And in that situation his crime stemmed from a highly charged and emotional romantic situation. I’m not in any way defending him. I’m merely pointing out that the crime wasn’t planned or an intent crime. He isn’t incorrigible, he can be rehabilitated if given the chance! That’s really my point. People can be rehabilitated. That’s what nearly all the dogma we hold true teaches. Although I’ve been incarcerated for more than 25 years, it didn’t take but a few day’s for me for me to realize I needed some rehabilitation. That I needed the wake up call. My situation is different from his. I was deemed incorrigible and thrown away for life without parole for abetting in a burglary no victim injury, all because I had previously uttered a bounced check! So far a second chance has been elusive in my case. The courts have.rejected all my appeals. And, I was just denied clemency by Florida Governor Rick Scott, whom I’ve now discovered doesn’t believe in second chances. Not only has he commuted the fewest sentences, he also amended the rules governing the filing for clemency whereby extending the time period between fling to 5 years instead of the traditional 2 years. As stated in my previous post reform remains just a discussion point. Hopefully I have my second chance one day soon.